Very Good. Kids, Parents, and Power Struggles: Winning for a Lifetime by Kurcinka, Mary Sheedy. Sewn binding. Cloth over boards. With dust jacket. 320 p.
Very Good. 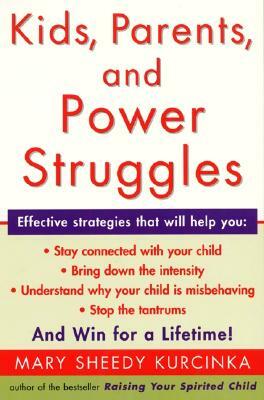 Kids, Parents, and Power Struggles: Winning for a Lifetime by Kurcinka, Mary Sheedy, 2001-02-20. Trade paperback (US). Glued binding. 336 p. Contains: Illustrations, black & white. New. 0060182881 Ships promptly from Texas. Books by Mary Sheedy Kurcinka, M.A.